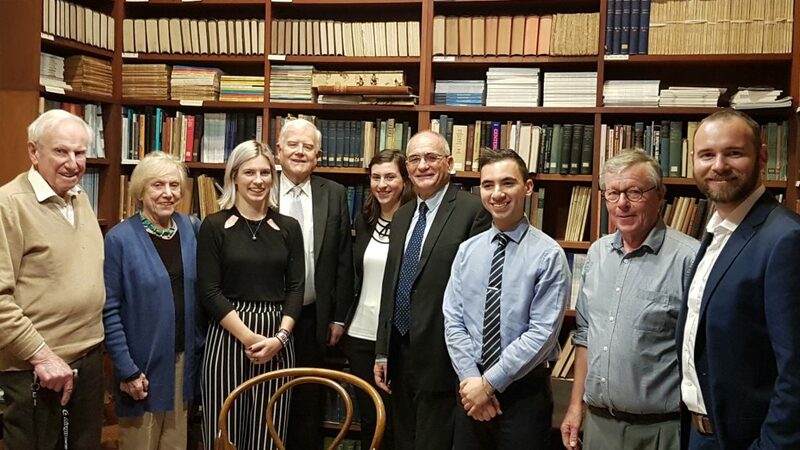 On Monday 29 October, Brigadier-General (reserve) Yossi Kuperwasser, Director of the Project on Regional Middle East Developments at the Jerusalem Center for Public Affairs, joined senior AIIA NSW members, councillors and interns for a free-flowing discussion. He was accompanied by Oved Lobel, policy analyst and staff writer at the Australia/Israel and Jewish Affairs Council (AIJAC). Main topics included the Iran nuclear deal and sanctions against Iran, the prospects for any form of Israel/Palestine settlement, the question of moving the Australian Embassy to Jerusalem, and the significance of recent positive moves toward Israel by the Gulf states.